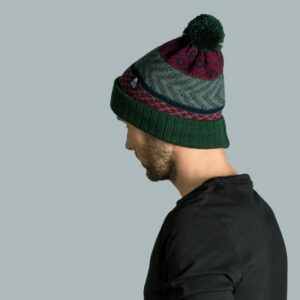 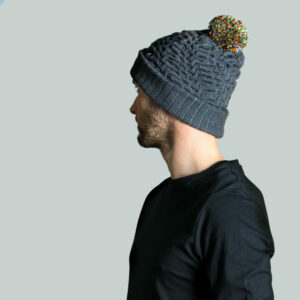 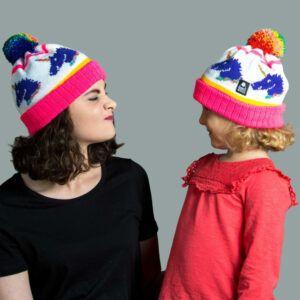 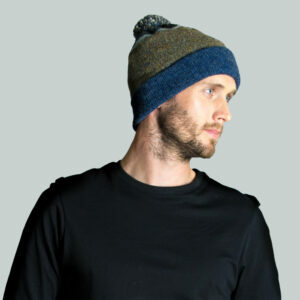 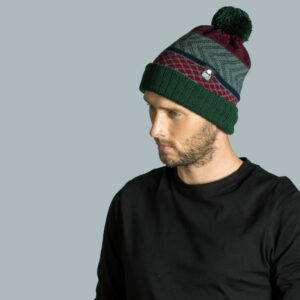 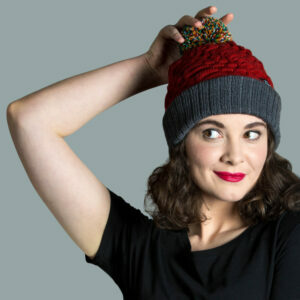 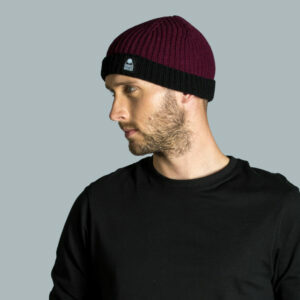 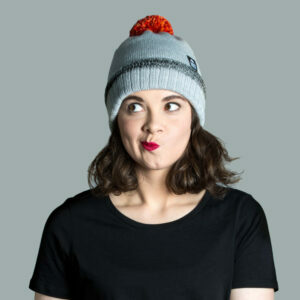 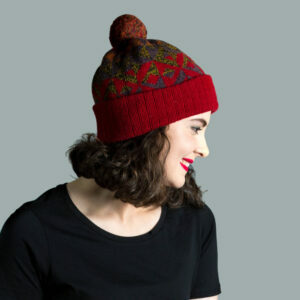 This hat fits in a relaxed slouchy style as we’ve knit it in a longer length. 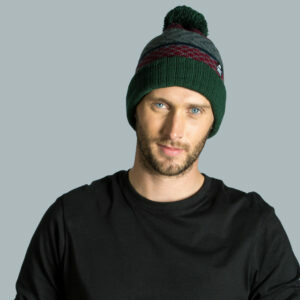 Using forest green in the ribbed turn up and pompom, it nicely frames the rich colours used in the pattern layers. 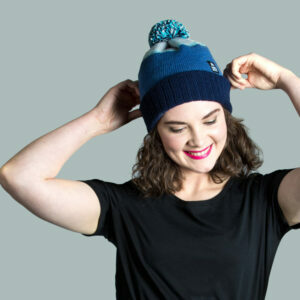 Acrylic yarn is soft to touch and comfortable to wear giving you a good barrier of protection from the elements. 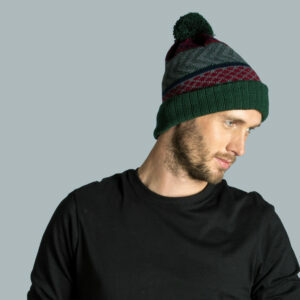 Our signature Wonky design is our classic combination of patterns which we’ve developed over the years to incorporate into a full collection of knitted accessories. 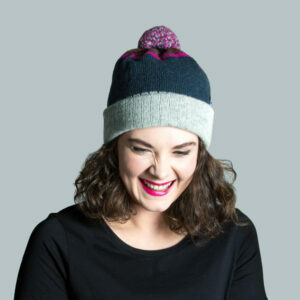 Matched up here with our reverse Bowmont band, this set works well together without being too matchy matchy!